LUXE Title Services | Top of the line, full-service title insurance agency. ensuring a smooth closing process start to finish. and committed to professional excellence. dedicated to providing impeccable service. Luxe Title Services is a full-service title insurance agency that is focused on elevating the consumer experience in the real estate closing, title, and settlement process and related services to sellers and purchasers throughout the state of Florida. Dedicated to providing clients with the best services available, we are committed to professional excellence while offering timely and cutting-edge services. Locally owned and operated, Luxe Title Services ensures all of our resources are right here in Tampa Bay, which allows for a smooth closing process from start to finish. Our goal is to ensure that your real estate transaction proceeds flawlessly from opening to closing. We accomplish this by harmonizing our technology-intensive, comprehensive business processing solutions with traditional, time tested methods in order to meet diverse and ever-changing needs. At Luxe Title Services, we understand that every closing is different and poses a different set of challenges. Customers can be confident that the team at Luxe Title will be both timely in the delivery of services and capable of solving any title issues which may arise. In-house services and local services ensure a smooth closing from start to finish. We offer two convenient Tampa Bay locations located in Hillsborough and Pinellas Counties. We're dedicated to providing clients with the best services available. Looking to estimate the closing costs you may encounter when purchasing a new home in Tampa Bay? Use our buyer's closing cost calculator to receive a free estimate. When selling your Tampa Bay home, it's important for sellers to know what they'll net from the transaction. Use our seller's net sheet calculator for a free estimate. Recognized as a true visionary spirit, Bob Glaser’s impact on Tampa Bay for the past 28 years is largely due to his driving ambition to run the most customer-centric companies in the area. He has watched Tampa Bay evolve into one of the real estate industry’s most prolific markets, and is proud to see the area grow. When opening LUXE Title, Mr. Glaser’s goal was to build a company that was multi-faceted, modern and innovative which provided 6-star service to its clients. 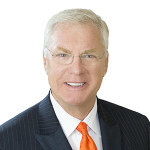 In addition to presently serving several industry-related organizations, he is Chair of the Morean Arts Center/Chihuly Collection, Palladium Advisor and serves on the Tampa Theatre Foundation and Blue Ocean Advisory Board. Bob has served on many professional associations and real estate councils in various capacities. Amy is a native of Ohio. She attended Duquesne University in Pittsburgh, PA and graduated in 2001 with a double major in Communications and Psychology. After college, she started her career in the title insurance industry. 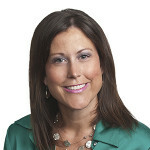 She relocated to the Tampa Bay area in the summer of 2003 and worked for a South Tampa real estate attorney for 9 years. It was during this time that she gained invaluable title experience and learned the closing process from beginning to end. From dealing with regular sales transactions, to short sales, to closings affiliated with tax deed properties where a quiet title action is required, Amy has experienced it all. She understands that every transaction is different and is great at dealing with the complexities that come up in real estate closings. She has been married since 2004 and has a son. She loves spending time with her family and going to sporting events and going to the beach. Erica was born and raised in Tampa. During her senior year of high school she began working in the Acquisitions department for a large bank and really took interest in the Real Estate field. In 1994, she began working for a credit union and learned all aspects of the mortgage lending side. In 2003, she was ready for a new challenge and started in the title industry. She started as a title processor learning regular retail transactions, relocation, commercial, builder loans, short sales and refinances. When the real estate market crashed she went back to school for accounting. After graduation she took a position as an executive/accounting assistant but it wasn’t where her heart was. In 2010, she found her way back into the title industry. Erica is a licensed title agent and says “There is no better feeling or gratitude then seeing someone close on their very first home.” Erica loves to help anyone that crosses her path. She has one son that is currently attending college. She loves spending time with her son and family. She enjoys going to the beach or catching a hockey or baseball game. Born in the Republic of Panama and being raised in Berlin, Germany, Em developed a love for history and culture. 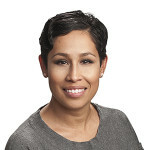 She started in Real Estate in 1997 and transitioned to the Title Industry in 2001. Being able to identify and proactively resolve potential title issues makes her an invaluable member of LUXE Title. “Seeing the smiles on our clients faces as they move forward into their new home, is the reason why I love what I do,” said Em. She is versed in all types of transactions and also is Bilingual. Em enjoys reading with her two children, walking and training her three rambunctious dogs and drinking her coffee with her loving husband. Tammy was born in New Jersey and moved to Tampa at the age of 7. 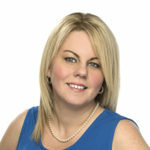 She began her career on the Mortgage side in 2004 and started her career in Title in 2012. She enjoys all aspects of the real estate industry. Tammy is married with two grown children and two grandchildren.